The Vaporshop at Zamnesia carries a big selection on vaporizers for every budget. 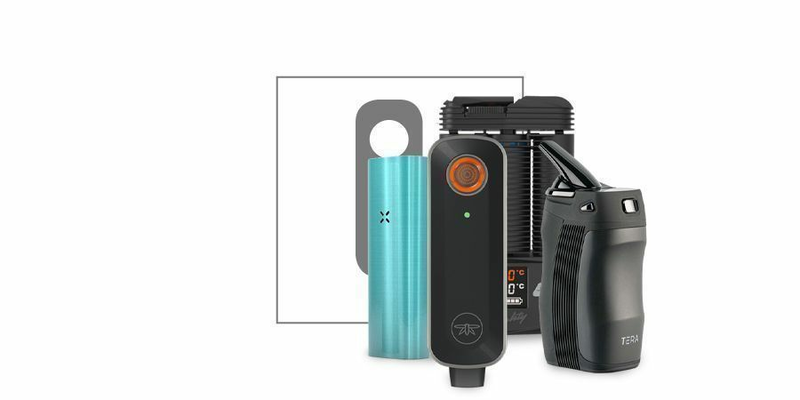 From simple and affordable portable herb vaporizers to the latest high-tech desktop models, you can get them here at Zamnesia at very low prices! Choose the healthy option! A vaporizer heats your weed to the point where the cannabinoid crystals evaporate but the dried vegetable matter does not combust. Smokeless and tobacco-less, using a vape gives a clearer, more ‘up’ high. Vaporizing is also cheaper (uses less weed to work its magic), and ideal for medical cannabis users (some models are even refundable by health insurers in certain countries) and recreational stoners alike. We aim to keep on top of the exploding range of vaporizing devices, stocking the latest sleek design models. Whether you’re after a vaporizer with an electric heating element, heated ceramic, glass, portable or desktop, we’ve got it! Vaporizers have become a must-have accessory for cannabis connoisseurs across the globe. At the Zamnesia Vapor Shop, we dedicate ourselves to stocking the best-selling vaporizers from the most reliable manufacturers, including Volcano, FireFly, Arizer, and plenty more. Whether you’re after an easy-to-use portable vape or a sophisticated desktop model, we guarantee you’ll find what you’re looking for right here. We also stock a variety of accessories, as well as spare parts for most of our models. So, what are you waiting for? To order your next vape or accessories, start browsing our shop today. For more information about vaporizers, how they work and some of our top-selling products, keep reading. WHAT ARE VAPORIZERS AND HOW DO THEY WORK? Vaporizers are devices used to extract compounds from dried plant matter, concentrates, or e-liquids without combusting them, offering a healthier alternative to traditional forms of enjoying cannabis, tobacco or other smokeable herbs. Vaporizers come in a variety of styles, shapes and sizes, ranging from desktop models to discreet portable devices. At Zamnesia we stock both portable and desktop vapes, which are showcased further down this page. Vaporizers work on the principles of convective or conductive heating. Convective vaporizers work by heating the air around the product in the chamber to a point where the compounds in the product start converting into vapor. Conductive vaporizers, on the other hand, work by heating a surface and then placing the desired product on top of that surface (similar to a dab rig). Conductive vaporizers usually need to be shaken during use to avoid burning the product. At Zamnesia, we stock a wide variety of desktop and portable vapes. Portable vaporizers are ideal for users who plan to vaporize on the go. They are designed with mobility in mind and will easily fit into a backpack, purse, or even your pocket. Portable vapes are super easy to use and usually lack the complex controls and settings of their desktop counterparts. This will make for a super simple and fast way of vaporizing on the go but also means you’ll have limited control over temperature or other aspects of the vaporizer functionality. Desktop vaporizers, on the other hand, are not designed to be used on the go. These are complex pieces of technology that generally come with sophisticated temperature controls, large chambers, and a variety of intake accessories, such as balloons, whips, or water pipe extensions. Desktop vapes usually need to be plugged directly into a power source. With a strong, stable power connection, these vapes are able to produce bigger vapor, making them ideal for vape aficionados or longer sessions with multiple people. There are a variety of benefits to vaping, including numerous health benefits. Because vaporizers don’t actually combust any plant material, they expose users to far less chemical than traditional smoking methods. While most cannabis connoisseurs are quick to defend their favourite pastime and claim that smoking cannabis is far less harmful than smoking cigarettes, that isn’t actually the case. Numerous studies have shown that inhaling cannabis smoke from a joint, blunt, bong, or dab rig exposes smokers to similar health risks associated with cigarette smoking. This is because marijuana smoke contains many of the same chemicals as tobacco smoke. In fact, a 2008 study found that cannabis smoke actually contains higher concentrations of chemicals such as ammonia and hydrogen cyanide than cigarette smoke. A 1988 study published in the New England Journal of Medicine also found that cannabis smoke contained up to 3 times more tar than tobacco smoke and that smoking cannabis was related to a 5-fold increase in blood carboxyhemoglobin levels in users. The main reason why smoking (both cannabis, tobacco, or other smokeable herbs) is so detrimental to our health is because it involves combustion. Whenever dried plant matter is burned (be it tobacco, cannabis, or some fancy herbal mix you found in a headshop), it produces thousands of chemicals in the smoke, many of which are highly toxic and/or carcinogenic. By inhaling smoke from a joint or cigarette, you are directly exposing your body to this harmful chemical cocktail. By using a vaporizer, you're able to consume cannabis, tobacco, or any other dried smokeable herbs without exposing your body to the health risk associated with smoking. 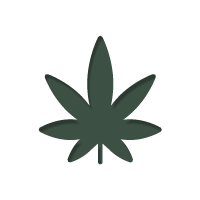 • Stronger doses: A study by California NORML and MAPS found that vaporizers can convert approximately 46% of available THC into vapor, while the average joint converts less than 25% of THC to smoke. • More flavors: Many of the delicate terpenes found in cannabis, tobacco, or other plant material burn at relatively low temperatures. By using a vaporizer, you’re able to appreciate the more subtle flavors of your “smoke” that are usually whisked away by combustion. • Less Smoke: Vaporizing doesn’t produce thick, clingy smoke like a joint or cigarette. Instead, the vapor produced usually disappears within a few seconds without leaving behind any noticeable smells. The most important aspect of vaporizing is temperature: If your vaporizer is set too high you risk combusting your material; if it is set too low you won’t be able to release the desired compounds from whatever it is you’re vaping. In an article by Leaf Science, Dr. Arno Hazekamp, medical cannabis researcher and Head of Research at Bedrocan BV in the Netherlands, suggests that 210° C is the ideal temperature for vaporizing cannabis. At this temperature, you’re able to release most of the compounds from your weed without actually burning it. 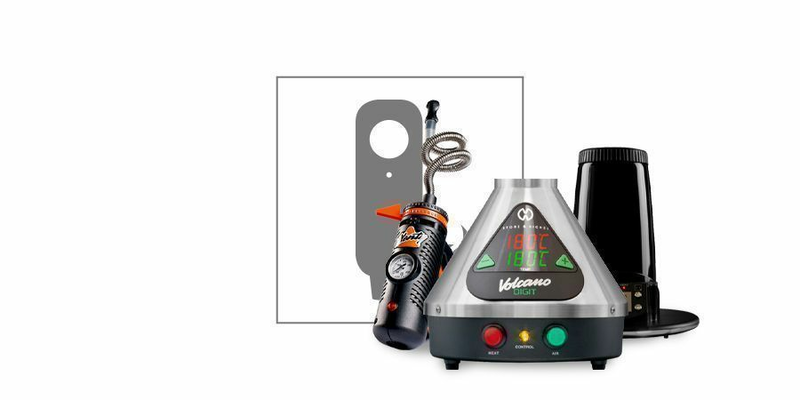 The ideal temperature for vaporizing varies for other substances like tobacco (125-150° C) or herbal mixtures. For a detailed list of vaporizing temperatures, click here. At Zamnesia, we stock a wide variety of both portable and desktop vaporizers. Below are some of our best-selling models. For more of our top vaporizers, check our top 10 vape list here. When choosing a vaporizer, it’s important you keep your personal preferences in mind. If you lead a busy lifestyle and want a reliable tool that you can use practically anywhere, we suggest you check out some of the portable vapes we featured above. On the other hand, if you like the ritual of vaporizing in your own home and want to hold long sessions with your friends as well as experiment with temperature and different intake methods, consider checking out a desktop model. 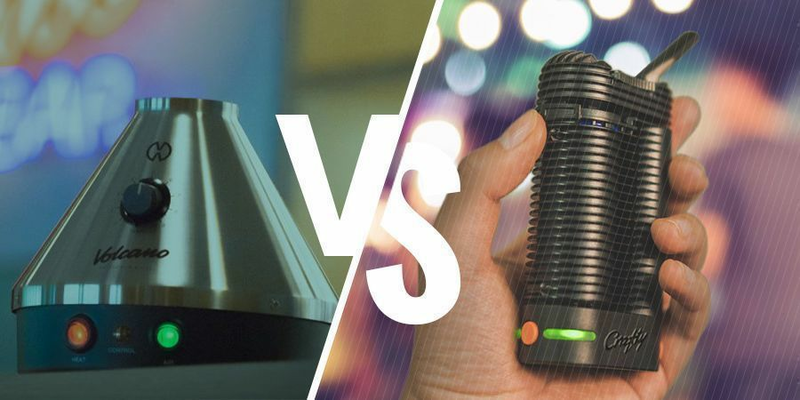 Whichever you choose, we guarantee we’ll have the perfect vaporizer for you. So, get browsing and place your order today.